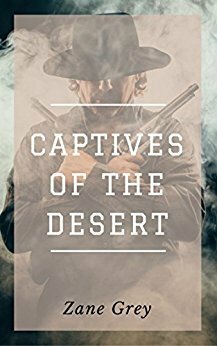 Cowboy John Curry had sworn to protect Mary Newton from her shiftless, drunken husband. And when he learned that Wilbur Newton was involved in treacherous activities that would doom the desert Indians, his determination hardened to steel. This was a good Zane Grey. There was some things in the book that were wrong, but the plot was good. I enjoyed the characters and I love how Zane Grey describes the country the characters are in. His descriptions make me want to visit the places the characters go.